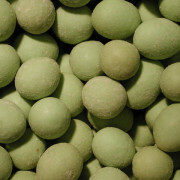 Wasabi coated green peas are sure to give you a kick! Crunchy, spicy, and so very good! Nutty, crunchy, spicy and intense! 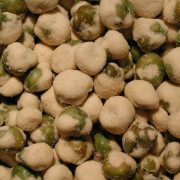 These peanuts will get your taste buds moving! 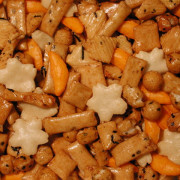 Crunchy sticks flavored with sesame seeds! The ultimate snack! 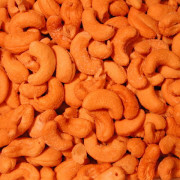 Jumbo cashews freshly roasted to perfection then salted to enhance a truly delicious taste. 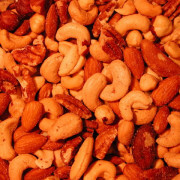 Roasted and salted assortment of the perfect mix of high quality cashews, almonds, Brazil nuts, pecan halves, filberts and walnuts. Sure to become a snack time favorite! The natural rich taste of this mix is complete with no salt added! 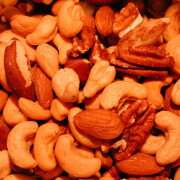 This deluxe mix is filled with quality jumbo cashews, almonds, pecans, Brazil nuts, and filberts. Delectable snack. 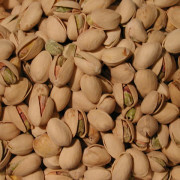 The irresistible crunch of pistachios in natural form. These lightly salted nuts are of the highest quality. A taste of the orient awaits you in this colorful mix. 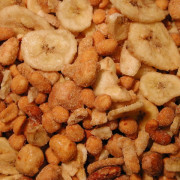 A little bit of heat and a ton of crunch makes this mix one of our most popular! 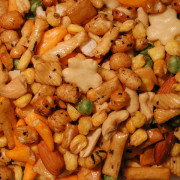 Crunchy and delicious, this mix is the perfect snack. An assortment of flavors, shapes, and textures makes for a new and interesting experience every time you reach for more. 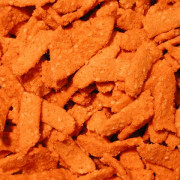 Great crunchy mix with just enough Cajun spice. Yummy & sweet, coated with honey! 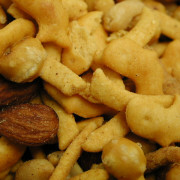 This fun mix includes cheddar whales, cheddar sesame sticks, pretzel balls, roasted and salted peanuts and almonds, and unique chili-lemon corn sticks. 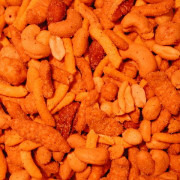 An amazing combination of cheddar flavor and crunchy nuts.